Watermelon Feta Salad will give your senses a tingling buzz, instantly transporting you to a balmy Greek summer evening lazing away at a waterside taverna. The colours of the bright red melon and dazzling snow white feta, with a mix of black olives creates a beautiful contrast. You can smell summer in the rich juicy mouth wateringly crisp watermelon and the flavour will have your taste buds tingling. 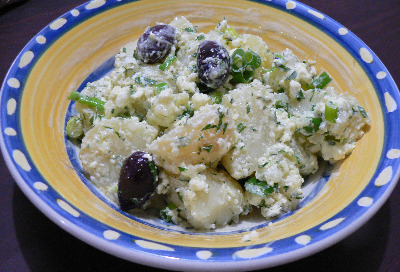 Greeks love salads, especially ones with different tastes and textures. This Greek feta salad recipe is made up of refreshingly sweet watermelon, contrasting with the salty feta cheese which makes it extremely flavoursome. A favourite snack of young Greek children is a chunk of watermelon, a chunk of feta and a thick slice of bread, eaten together. This is the grown up version in a salad! 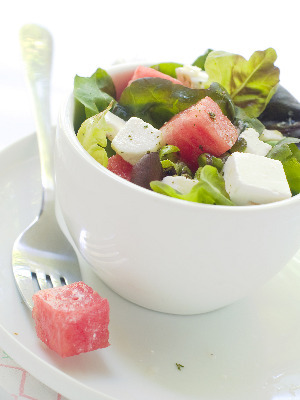 Watermelon and Feta Salad is great served as an appetizer or a side salad. 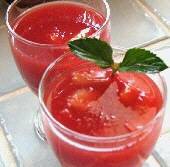 Cut the rind and the white flesh from the watermelon. Cut into small cubes. Remove the seeds as you do this. 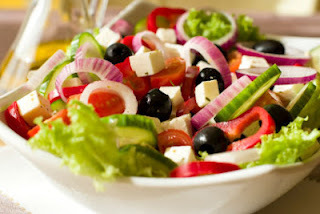 Place the watermelon in a bowl and add the feta cheese, chopped onion, nuts and seeds and black olives, if using. Cover and chill the salad for 30 minutes in the refrigerator before serving. Serve on a bed of greens such as lettuce, rocket and baby spinach. 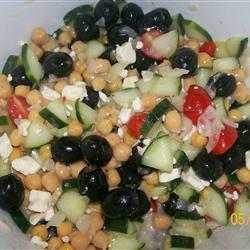 Drizzle with a mixed dressing of olive oil, lemon juice and balsamic vinegar.